We continue with Wine of Moldova and we’re still exploring the rosé wine theme. This time we’ve picked a wine that is little known to wine lovers, but a wine which is gaining popularity on a regular basis, so here it is – Rosé 2014 from Minis Terrios. This is a rosé wine, made of cabernet sauvignon and pinot noir grape varieties. The wine has a clear, onion peel or salmon pink color – bright and transparent – with the rim-color of a clear orange shade. The nose is moderate and closed, with some subtle signs of cork mould. The first nose brings clear notes of sour fruits and some savory flavors: wolfberry, rose hip, cherry tomato, red bell pepper, underripe red cherry and red currant. Later on, the nose is filled with some moist wood notes, subtle at first, but quite insistent with time. The wine is dry, with no hints of residual sugar. It has moderate alcohol level, high acidity and medium tannin, which makes it taste savory, opulent and a bit tart. The wine has a fair overall balance, it feels quite refreshing, but wide, mouldy and tight on the palate. The wine has a medium finish, with a balanced, a bit zesty aftertaste – the wine lacks some character, but it feels quite fresh overall. Last but not least, we would really want to mention that we do like the color spectrum of this wine. 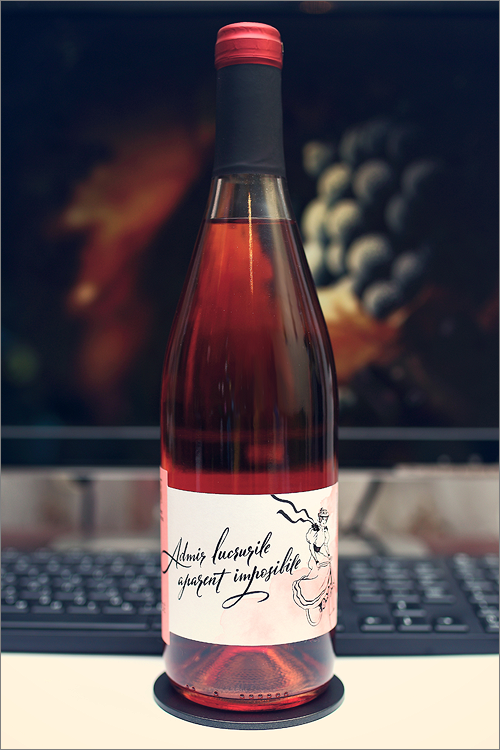 It is quite different from the vast majority of rosé wines of Moldova, it’s has quite some hints of a a classic Provence rosé wine – pale salmon pink or onion peel color. Another aspect of this wine that made us nod in approval was the grape varieties used – we are really found of pinot noir rosé wines, even if there’s just a drop of it in the final wine.